There’s Something Cooking at Skunkworks (Besides Pie). Skunkworks recently had the pleasure of working on an interesting video and print assignment for Vancouver-based multi-practice law firm Watson Goepel LLP. 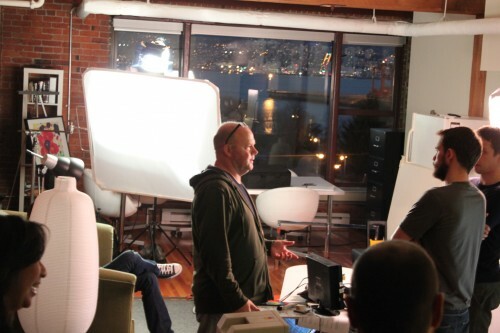 Although we have developed video creative for clients in the past, this project was unique in requiring our team – and the very capable production company Backlot Media – to transform our offices into a film set. 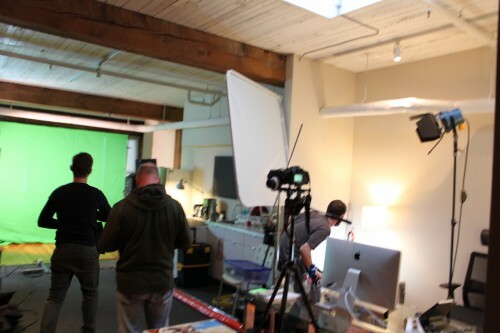 One of Skunkworks’ offices transforms into a set complete with green screen. 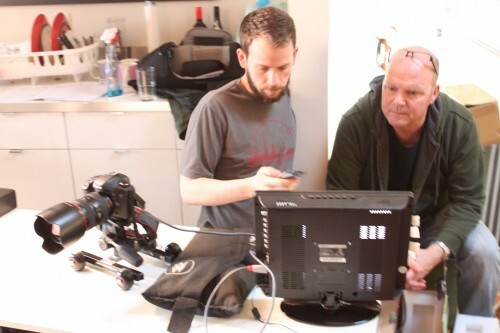 Executive Director John Durant with a member of his crew surveys the footage. 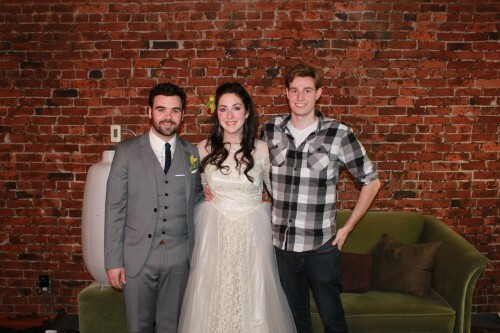 Me with our two costumed actors: Brynn Peebles and Adam Pateman.